Prior to the current building at the northeast corner of 8th and O, this site was occupied by a succession of small hotels. 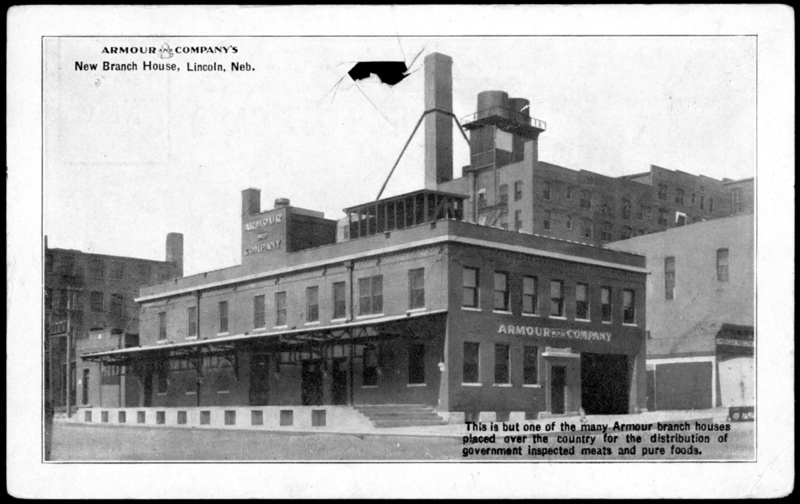 The small utilitarian building was built in 1911 for Armour & Company, the meat packers. R. C. Clark of Chicago was the architect and Gerstenberger & Gooden were the contractors for the $24,000 building. A close examination reveals surprisingly fine materials, such as the tooled limestone trim and openwork steel trusses supporting the canopy. 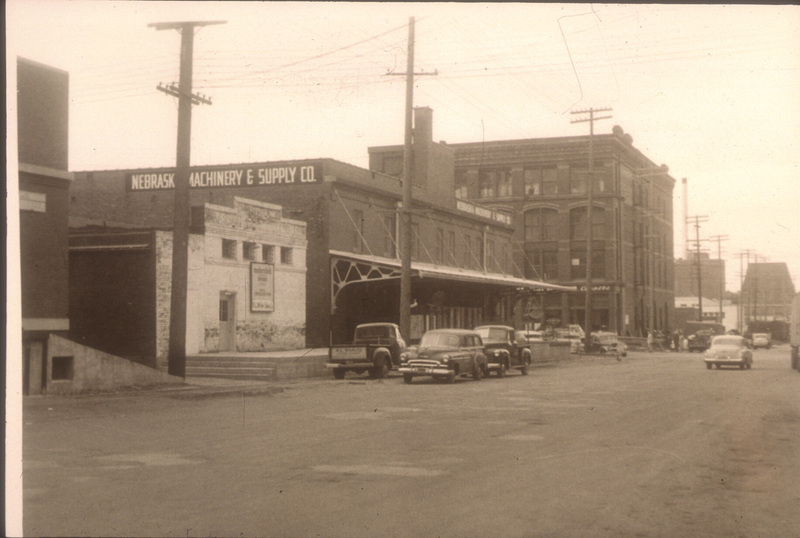 The canopies and docks along 8th Street and throughout the Haymarket contribute much to the special character of the District.